We all eat granola thinking we are doing ourselves a favour and eating healthy. However, many packaged granolas are filled with unhealthy ingredients such as sugar, saturated fat and oils. The health potential of granola is quite high and can be bursting with nutrients as well as flavour if made correctly. I like to make a big batch of homemade granola and eat it plain as a snack or sprinkled over yogurt. My granola must be a hit because I constantly get requests for it and everyone can’t get enough! Granola is actually quite easy to whip up on your own, so go ahead and try my recipe! I use coconut oil which is a healthy fat, and helps to bind everything together. It also gives off a subtle coconut flavour. Instead of using sugar, I use raw, unpasteurized honey for its high mineral and antioxidant content, as well as it’s antibacterial properties. Granola is meant to be fun and versatile, so using oats as a base, feel free to throw in whatever dried fruit, nuts, and spices you love! 2. Combine all ingredients (except honey, coconut oil and cranberries) in a large bowl. 3. In a small bowl, microwave honey and coconut oil. 4. 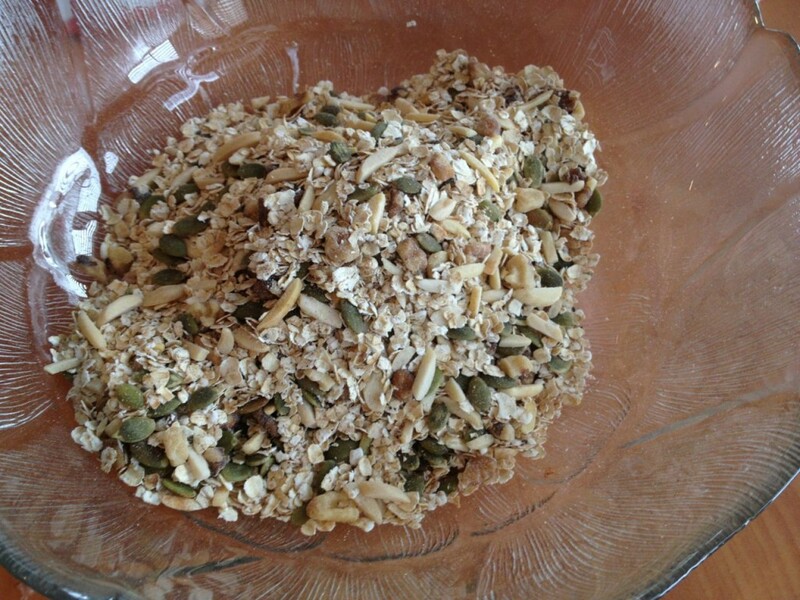 Pour honey and coconut oil into granola mixture. 5. 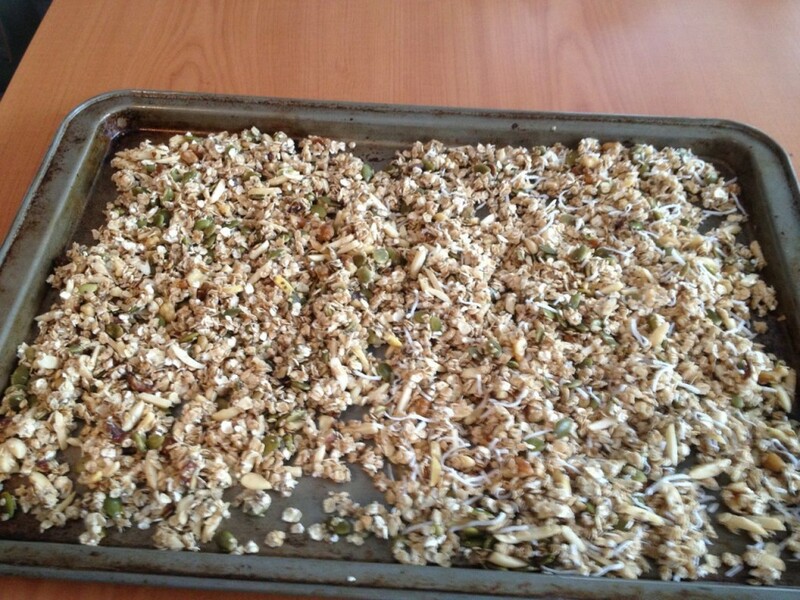 Pour granola onto large baking sheet, spread evenly. 6. Place in oven for 25-30 minutes, or until golden brown. Make sure after about 10-15 minutes to toss granola around on sheet. 7. Remove from oven, let cool about 10 minutes, add dried cherries. Feel free to play around with amounts and measurements, as well as ingredients. This recipe is a healthy and tasty snack, breakfast, or dessert! Have fun with it!